Jennie Grant, our local founder of the Goat Justice League, has a wonderful new book out. City Goats is a book I wish I’d had a few years ago when I had the animals; it is full of useful information on everything from selecting your goat to what to feed them. Jennie is a clear and quite humorous writer. Even if you don’t plan on your own caprine adventures her stories about her backyard farm and information on goat’s milk and animals in general make it well worth the read. Last week Urban Farm Hub caught up with Jennie and asked her a few questions. I am a stay at home mom finishing up my last pre-requisites before applying to nursing school. I have always loved animals; as a child I wanted a deer and an elephant in the backyard until I realized it would be cruel to have them in such a small space. I’m also the happy founder of the Pug Gala, one of the largest pug events in the country. It’s a lot of work but a labor of love; I really like having the goats around. It’s also political as I don’t like how animals are treated in factory farms; in 1950 dairy farmers kept their cows for 14 years, now they are culled after five. It’s not just about raising goats but about how our culture looks at animals. The word “pet” didn’t exist in the English language until the 1500’s. Even now in more than half the states farm animals are exempted from animal cruelty laws. The goats connect me to my neighborhood and community in great ways and they produce something that’s super delicious. Was it hard to write a book? It actually wasn’t all that hard once my editor suggested that I didn’t need to start at the beginning. Once I had the tone down it was really fun to write. 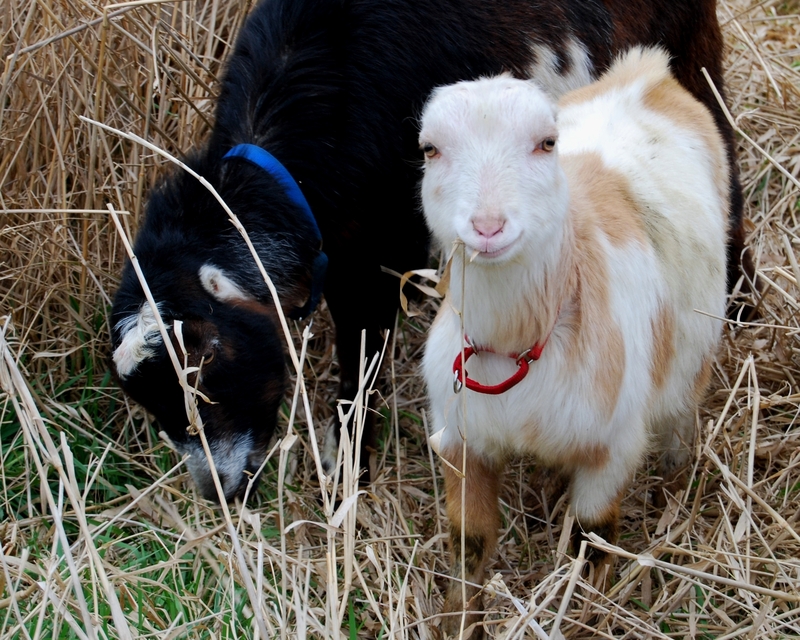 What do you like most about raising goats? I like the great milk and the connection with nature. Keeping goats broadens my world as I visit places, like feed stores, that I wouldn’t usually go and meet new people, it’s really eye opening. I love the new babies too, they really add humor to life! Having animals does tie you down. Unless you have help, milking the goats twice a day can get to be quite a lot to deal with. When things go wrong it can also be very, very sad at times. In addition to goats what other animals are you interested in raising? A friend just got a mini Dexter cow but even this small version would still be too large for a city backyard. I have bees, chickens and pugs but am thinking about ducks. Portage Bay Grange has an amazing aquaponics set up that is really nice. Why aren’t there more people doing the goat thing? There is a significant start up cost and it is a lot of work. A lot of people aren’t familiar with fresh goat milk and they don’t like the milk they’ve tried at the grocery store. The trick is to find partners who want to help milk and take care of the goats.